From the FBI to shoes? Oregon’s top FBI official, Special Agent in Charge Gregory A. Fowler, is leaving the helm after two years, the Oregonian reports. “I am retiring at the end of this month to take a position in the private sector,” said Special Agent in Charge Gregory A. Fowler in a prepared statement to The Oregonian. 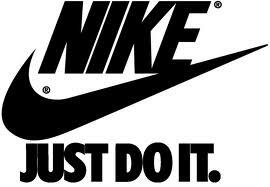 Fowler told his staff he was taking a job with Nike as director of investigations. “I have been privileged to lead the men and women of the FBI’s Portland Field Office, and will always be proud of their unyielding dedication to keeping Oregon and the country safe,” Fowler said in his statement. Fowler was named special agent in charge of the Portland Division in the summer of 2011. Posted: 11/14/13 at 9:33 AM under Milestone, News Story.